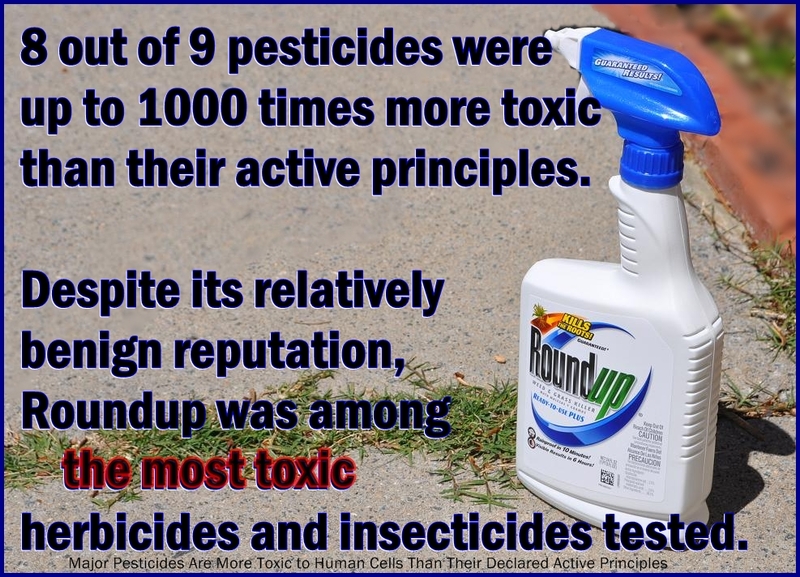 Proof: Pesticides Are MORE Toxic Than Declared! ‘Cides are designed to kill. Only the so-called “active” ingredients are listed and tested for how well they kill what they are sold to kill. Human, animal and other environmental effects are rarely if ever researched, and then it’s only for the active ingredients. The combinations of ingredients and the so-called “inert” ingredients which make the products flow or apply better are not taken into consideration. Those “inerts” can also be more toxic than the active ingredients, but don’t have to be listed! 1000 times more toxic than declared!